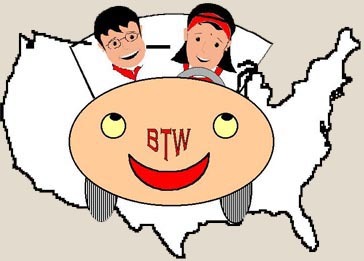 Final update to the BTW 2000 site : Feb 7th, 2001. The photo journey is completed !!. Please start this journey at Photo Page. Hope you enjoy the pics !! Also the guest book finally seems to be working :-)!. Please sign here or view the guestbook here. Its the greatest thrill for us to introduce you to this page - Behind The Wheel in America! It is a passionate dream come true for us. Since we got married in `97 we have been wanting to do something like this and its about to come true, about to happen to us - we are about to let ourselves go free on the road! And we want to share every minute of this trip with you all. We hope you will enjoy this travelogue as it unfolds !! Come Join us Behind The Wheel !! Click on Next Page on the right to follow us behind the wheel. Who is driving behind the wheel ? Its us!! 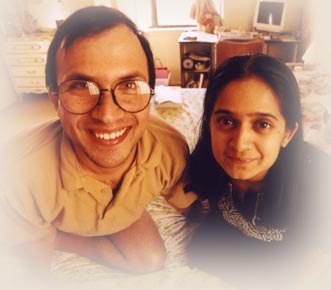 Ajay and Deepa. Click here to learn more about us.